eatingclub vancouver: eatingclub Chicken Saltimbocca on SAVEUR.com's Best of the Web! eatingclub Chicken Saltimbocca on SAVEUR.com's Best of the Web! I was puttering around our Google Analytics a few days ago -- a very rare occurrence as these "analytics" are all Greek to me -- when I noticed that on one certain day, we had an unusually higher number of visits. It was very strange indeed. On further investigation, I discovered why. 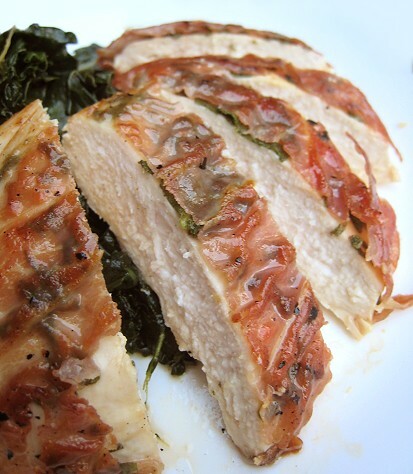 Our Chicken "Saltimbocca" post was featured on SAVEUR.com's Best of The Web! Wow! That was totally unexpected; a complete surprise! We're so happy! [eatingclub] vancouver is now on their list of "Best of the Web" sites! Nicely done! Now I can say that I share the same taste as Saveur. Woooooot. It looks like a great interpretation. Congratulations! Congratulations ladies!!!! That's awesome news!!!!! I love that Saveur does that. We got one of our recipes posted up there this summer and I almost fainted I was so ecstatic - what a nerd, eh? Your saltimbocca looks delightful, I can see why they were fans!